DiGiGrid S is the ultimate in fixed power sources over Ethernet. This sleek and compact Gigabit Ethernet switch features one upstream (non-PoE) port and four downstream PoE ports, allowing connection to four additional DiGiGrid and SoundGrid-compatible devices. 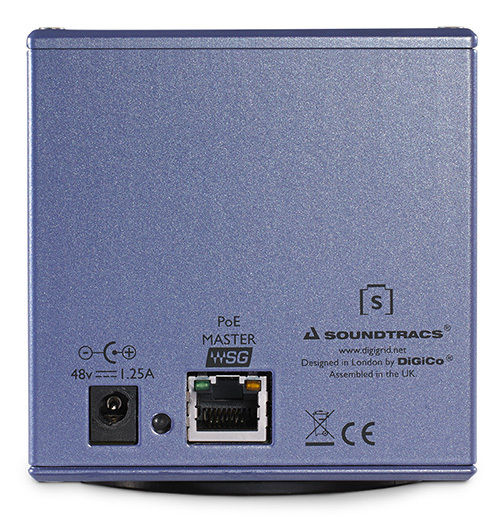 Being both SoundGrid- and Dante-compatible, DiGiGrid S is the perfect complement to your growing networked audio system, both now and in the future.